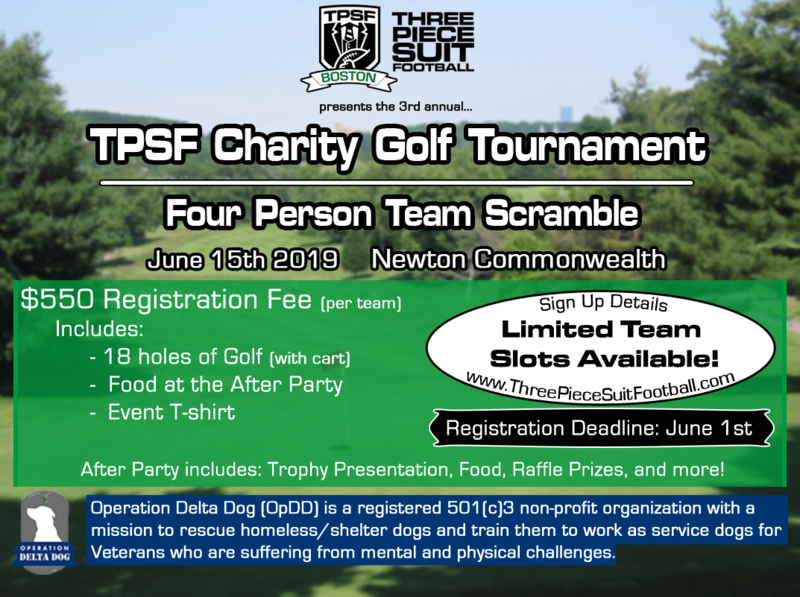 Enter a team registration for the TPSF Charity Golf Tournament on 06/15/2019 at Newton Commonwealth! Registration is $566.74 ($16.74 is the Stripe processing fee). This price covers 18 holes, a golf cart, and food at the after party! Good luck, top two teams win a prize! Thank you for being part of such a great event and donating to a special cause/charity! Be sure to enter all team members and their T-Shirt sizes below. Note: This is a rain or shine event, no refunds. We will provide gear for inclement weather.